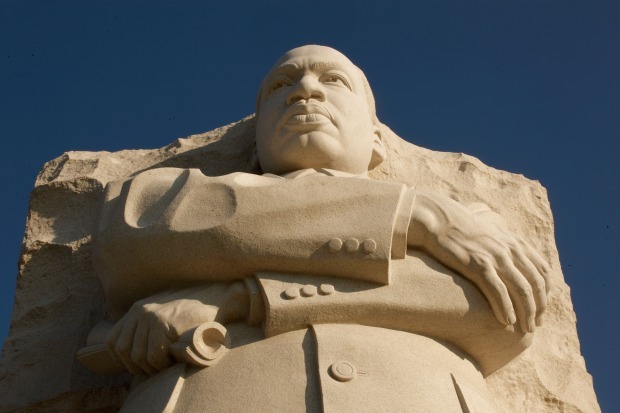 At 30-feet-tall, the sculpture at the new Martin Luther King Jr. Memorial opened Aug. 22, 2011, and was dedicated in October. Of course you can celebrate Martin Luther King Jr. Day by visiting the memorial that opened on the National Mall last year. But if you're looking for more things to do, including volunteering your time, read on. The Martin Luther King Jr. Day Parade returns after an eight-year hiatus, bringing together Civil Rights activists, D.C. notables, boxing champs Anthony and Lamont Peterson, Jermaine Crawford of HBO's "The Wire," and more. D.C.'s Latino, Chinese, Ethiopian and Nigerian communities will join in as well. Parade participants will line up near St. Elizabeth Hospital's Gate 1 at the Chapel (2700 MLK Ave. SE). The parade begins at Friendship Public Charter School (645 Milwaukee Place SE), heading south on MLK Avenue to Leckie Elementary School (4201 MLK Ave. SW). Assembly 8:30-11 a.m.; parade begins 11 a.m. Embrace the Dream, Celebrating our Youth of Tomorrow at the McLean Community Center(1234 Ingleside Ave., McLean, Va.) features Dr. Ed Jackson, executive architect of the King Memorial, plus performances by the Richmond Boys Choir and Taratibu Youth Association's Pan Afrikan Drill dance company. Sunday, Jan. 15, 3-5 p.m.; tickets $5 adults; $3 kids age 10 and under. You can also volunteer with We Feed Our People, which provides nutritious meals and warm clothing for the homeless. You can help out in the the HU Law School kitchen or at the Dr. MLK Library. Saturday, Jan. 14-Monday, Jan. 16; see schedules here. A bold, edgy exhibit at the Corcoran Gallery of Art collects 30 contemporary African-American artists who show their American experience. 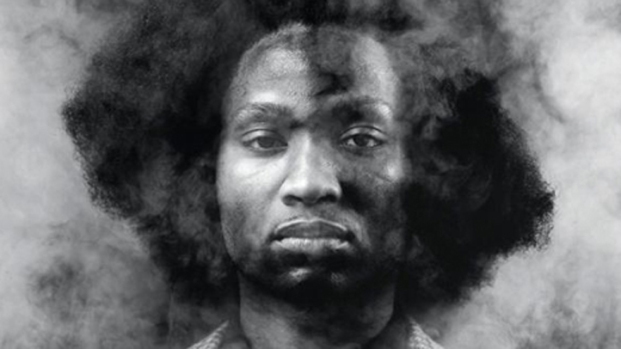 The Corcoran Gallery of Art (500 17th St. NW), usually closed on Mondays, will be open with free admission (usually $10), in conjunction with its exhibition 30 Americans, which profiles the work of some of the most prominent African-American artists in recent history. The gift shop will offer 30 percent off all 30 Americans merch from Saturday to Monday (in stores only). Plus, all visitors on MLK Day will receive a two-for-one voucher to the gallery to use before 30 Americans closes on Feb. 12. Monday, Jan. 16, 10 a.m.-5 p.m.; $18. Join the Girls and Boys Club (4103 Benning Rd. NE) to revitalize hallways, the teen club room, a multi-purpose clubhouse and more. The event includes snacks and face painting. Monday, Jan. 16, 9 a.m.-1 p.m.; sign up here. BloomBars (3222 11th St. NW) hosts an MLKjr Kids' Concert, featuring Tamika Love Jones. The D.C. native has worked with Faith Evans, Mya, Lil' Kim and more, and cites musical influences such as Duke Ellington and Billie Holiday. Monday, Jan. 16, 3-4 p.m.
At Bohemian Caverns, Dr. Leonard Brown & Joyful Noise will perform a tribute to Dr. Martin Luther King Jr. "Brown produces one of the most uniquely engaging sounds you will hear from the saxophone," the venue says. Friday and Saturday, Jan. 13 and 14, 8:30 and 10:30 p.m.
Find more Day of Service events here and more events around the city here.